There’s no point in being coy about it: I once sang Uptown Top Ranking, the number one one-hit of Jamaican teens Althea Forrest and Donna Reid, in the appropriate patois and ting, onstage at no less than London’s famous 100 Club as part of a particularly memorable Karaoke Circus night. It is fair to say that my interpretation, as heartfelt and affectionate as it was, lacked a certain amount of pop and style, and was no match for the carefree unselfconsciousness of the irresistible original. 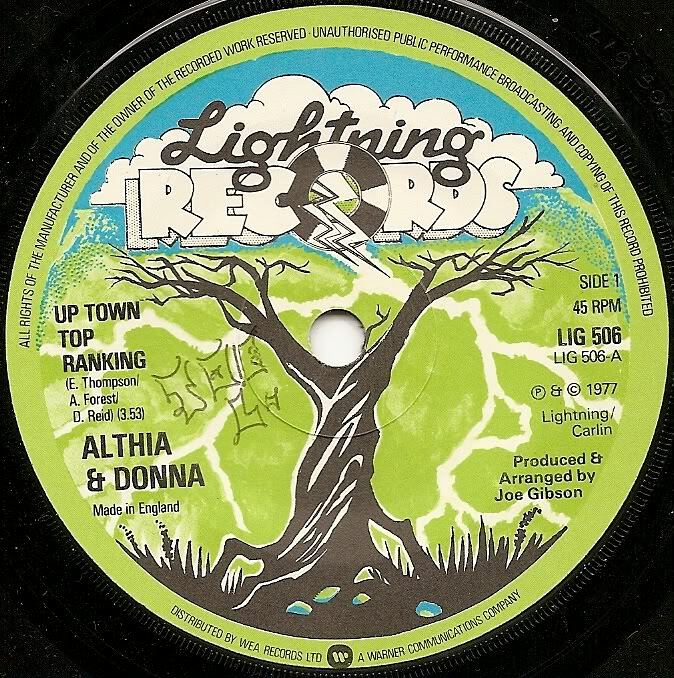 Inaccurately billing the artists as “Althia” & Donna on the original sleeve and label, Lightning was a subsidiary of Warner Bros, although the post-colonial plunder of Jamaica’s rich seam of musical ore really did help to broadcast it around it around the world, and it’s accepted now that reggae fed into punk, leading to the UK ska revival of the early 80s. Uptown Top Ranking might have seemed like a pop novelty to some in 1977 when it bogled up to the toppermost of the poppermost – two slightly cocky teens boasting of being “hip and ting” and threatening to give lecherous men a heart attack with their ’alter back (the “halter back” being a vest held up by a single strap, if you’re not fashion-inclined) – but its jerky charm is not withered by age. It feels now like an authentic explosion of youthful attitude. Typically, it was John Peel who championed the track, and the duo, just as he did a few years later with Musical Youth, whose Pass The Dutchie was also a knee-high number one smasheroo. Although his patronage of reggae is more readily emblemised by dope-cloud dub, it’s to the great man’s credit that he was also a reggae pop-picker. As mentioned elsewhere, I was the right age circa post-punk and 2-Tone – and in the right ie. wrong place, geographically ie. Northampton – to find the West Indian influence effortlessly alluring. I can’t to this day confidently translate every romantically coloquialised couplet in Uptown Top Ranking, but you get the picture. 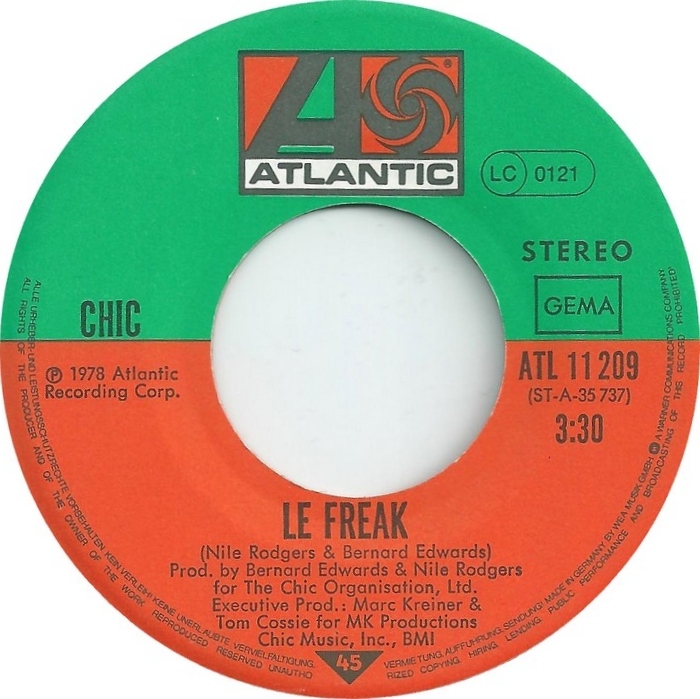 The protagonists’ focus on couture is paramount to the song’s trajectory. To the clothes hanger bearing “pants” (the “hot” variety we might presume) and that cardiac-risky “‘alter back”, we may add a “khaki suit”. Which, as any student of patois will tell you, refers to a form of dancing normally done by women, which involves gyrating the mid-section of body. Nothing to do with a glass of pinot. There are site-specific coordinates, too, which work best if you don’t look them up. Constant Spring is a residential district of Kingston, Jamaica, and I know this because I looked it up and that’s all its Wikipedia entry reveals other than the fact that it’s mentioned in Uptown Top Ranking. Cosmo spring? No idea. All I know now, as someone who’s not only looked up the lyric but learned it, off by heart, and sung it to a clubful of people through amplification, is that when I first heard it, in 1977, I made no effort whatsoever to understand it. I was transported by the order of its syllables, and you could just about sing along to the title, and to the manifesto line, “No pop, no style, something something roots.” It was sufficient. Since we know for historical fact that the 1970s were a troubled decade, sexually, not least in Television Centre, where the 17- and 18-year-old Forrest and Reid performed their hit for Top Of The Pops that February, it’s reassuring to find that the pair seem so strident; their musical youthfulness appears to have escaped without patronisation or worse. That appearance, backed by a turtlenecked Top Of The Pops Orchestra who I suspect were largely non-Caribbean, survives as an organic little gem. Nothing about the packaging of the girls or their records (they followed up with an LP and further singles for Virgin’s Front Line, but none charted) seems exploitative, even in retrospect. Althea and Donna get a writing credit along with Errol Thompson, one half of The Mighty Two with producer Joe Gibbs (the peak of whose endless studio CV must surely be Two Sevens Clash), so we might assume the young women had some input into the lyric. Let’s hope so. (The b-side of the UK issue, Calico Suit, is credited only to The Mighty Two.) Although the TOTP rendition is robbed of its roots, the vocal keeps it real, but you must return to the original recording to savour the full effect, from lazy opening rimshot to that teasing fade. But until you’ve actually learned precisely when to go “Ow!” (as in: “Watch how we chuck it and ting” “Ow!”), you’re a reggae weekender.